These confetti are delicate rose petals made of white nylon fabric. 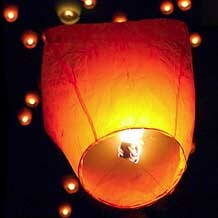 Paper Luminary Candle Bags are ideal to light up your nights of any special events. To purchase any of our products published on our site, simply, add your selected products to the basket and once the order has been securelly confirmed with your payment, we aim to deliver your order within 1-4 days via standard delivery service or 1+ day if you have requested express delivery service. This also benefit of our Priority Order Service to jump the cue and get dispatched same day if we receive the order before 4pm. More information is avalable on the Orders & Delivery page.